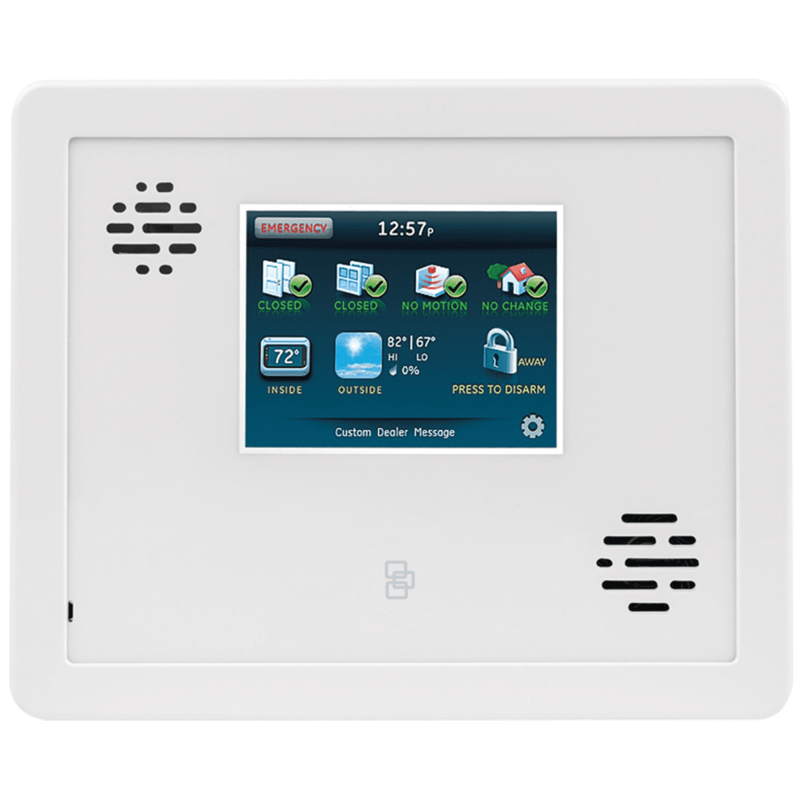 The Interlogix Simon XTi is a cost-effective security system that offers up to 40 zones of burglary and fire protection, and which complies with SIA False Alarm Standards. The 80-632-3N-XTI wireless control panel features a 3.5-inch color LCD graphical interface with actionable status icons. The next-generation Simon XTi enhances the long-lasting reliability and performance of the Simon XT® with the advanced technology of the Two-Way Talking Touch Screen. This self-contained security system offers image capture technology, combined with powerful security and color LCD touch screen convenience, for a costeffective, easy-to-use solution. Well suited for houses, apartments, and condominiums, the Simon XTi features a built-in touch screen to control security functions. In addition to using Simon XTi security features for safety and peace of mind, optional wireless devices can be added to provide control over other functions including Z-Wave® wireless lighting control devices, Z-Wave wireless thermostats for home HVAC systems and Z-Wave door lock control. All these functions can also be controlled remotely using Web portal and mobile applications powered by Alarm.com. Any web enabled device (laptop, smartphone or tablet) provides access to Simon XTi's functionality and even includes lifestyle-enhancing information such as the current outdoor temperature and a four-day weather forecast. The Simon XTi panel comes standard with 40 wireless zones, or it can be set up with 38 wireless zones and two built-in hardwired supervised burglary zones (normally-closed loop only). The built-in radio receiver works with both crystal and SAW Learn Mode™ sensors. Stay connected: control lights, thermostats, door locks and other Z-Wave® enabled devices. With the optional cellular LTE reporting and Alarm.com features, Simon XTi features remote monitoring and control of your security system for convenient and effective home protection.